Yes, you can cut your herbaceous perennials down down now. “Herbaceous perennials” means the ones that will die back to the ground in the winter anyway. This doesn’t include woody plants such as lavender, or those that are evergreen and spring-flowering such as creeping phlox or candytuft. I cut the remaining perennials in my garden down yesterday. As I worked I was thinking about the person who asked if I was done putting my garden to bed, and what went through my mind was that one of the freeing things about gardening is realizing that there are few rules. A garden teaches us to never say never…often things survive against all odds. There are a few annual Nicotiana leaves left in this garden that wraps around my deck, and some daylily and spiderwort foliage. But most of the annuals have been pulled out or cut down, and the perennials cut down to two inch stubs. 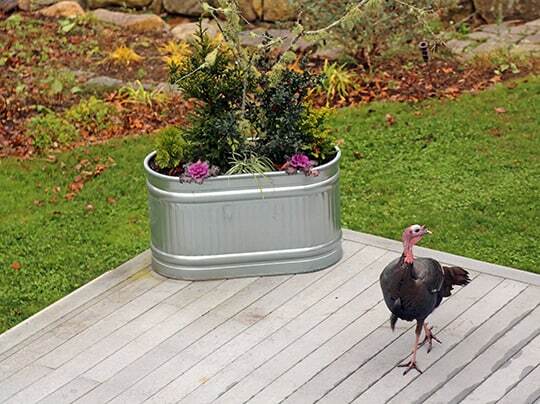 Reasons to Clear Your Gardens in the Fall and Reasons to Wait Until Spring. When these are left in the garden they trap leaves. The leaf-litter forms places where voles and other small critters can live and eat perennial crowns and roots. Since the voles, chipmunks etc are protected they can easily hide from predators. By taking away the seeds you prevent a great deal of seedlings from germinating in the garden. This will mean less weeding next season. Clearing out a garden in the fall means there is less for you to do in the spring when you’ll be excited about planting. In areas where spring weather tends to be damp it’s good to have much of the garden work done in the fall so you’re not walking on and working with wet soil. Being on and digging in wet soil tends to compact the ground. 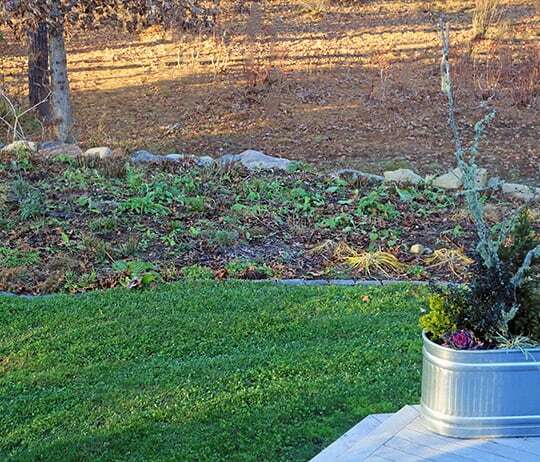 Clearing out old perennial foliage in the fall gets rid of plants that may have had diseases. Bee balm or summer phlox that has mildew, for example, can be removed and put in the brush pile so that there are fewer spores to infect plants in the future. When these are left in the garden they trap leaves. This leaf-litter protects tender plants so that those that are marginally-hardy are better able to survive the winter. It also provides protection for wildlife and places where butterfly larvae over winter. By leaving the seeds you provide food for birds and other wildlife. Even if you clear out the garden now there will be more cleanup in the spring, right? In the spring there will be more leaves that blow in, winter weeds to pull, and assorted clearing. By waiting you will be doing it all once. Leaving the plants to sit over the winter is how Nature gardens. If you don’t want to put a garden to bed, or if it’s not convenient right now, let it stay up all night. A garden teaches us to never say never. Categories Select Category A Gardening Life Another Polular Misconception As I See It Bloggers Bloom Day Bloggers You Can Grow That! Day flummoxed on friday Garden Celebrations Garden Prayer Garden Reports and Rejoicing Garden Wedding Grateful Gardeners Book Club growing the spirit Inspiration Life’s Gardens my gardens Perennial Maintenance Pet Peeves Plant Something! plants I hate plants I love products I hate products I love Reasons To Grow Your Own Vegetables Report From An Opinionated Gardener Report From PIA Things I Hate About Your Garden Uncategorized vegetables What’s for dinner? wordless Wednesday You Can Grow That!